^ Unsöld; Baschek (2001). “Introduction”. p. 1. ^ Unsöld; Baschek (2001). “I. Classical Astronomy and the Solar System”. pp. 6–9. ^ Unsöld, Albrecht; Baschek, Bodo; Brewer, W.D. (translator) (2001). The New Cosmos: An Introduction to Astronomy and Astrophysics. Berlin, New York: Springer. ISBN 3-540-67877-8. ^ Shu, F. H. (1982). The Physical Universe. Mill Valley, California: University Science Books. ISBN 0-935702-05-9. ^ DeWitt, Richard (2010). “The Ptolemaic System”. Worldviews: An Introduction to the History and Philosophy of Science. Chichester, England: Wiley. p. 113. ISBN 1-4051-9563-0. ^ Aaboe, A. (1974). “Scientific Astronomy in Antiquity”. フィロソフィカル・トランザクションズ 276 (1257): 21–42. Bibcode 1974RSPTA.276...21A. doi:10.1098/rsta.1974.0007. JSTOR 74272. ^ Krafft, Fritz (2009). “Astronomy”. In Cancik, Hubert; Schneider, Helmuth. Brill's New Pauly. ^ Marchant, Jo (2006). “In search of lost time”. Nature 444 (7119): 534–8. Bibcode 2006Natur.444..534M. doi:10.1038/444534a. PMID 17136067. ^ Kennedy, Edward S. (1962). “Review: The Observatory in Islam and Its Place in the General History of the Observatory by Aydin Sayili”. Isis 53 (2): 237–239. doi:10.1086/349558. ^ Nas, Peter J (1993). Urban Symbolism. Brill Academic Publishers. p. 350. ISBN 90-04-09855-0. ^ a b Berry, Arthur (1961). 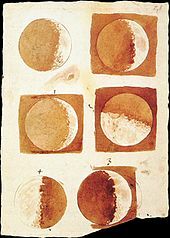 A Short History of Astronomy From Earliest Times Through the Nineteenth Century. New York: Dover Publications, Inc.. ISBN 0-486-20210-0. ^ Hoskin, Michael, ed (1999). 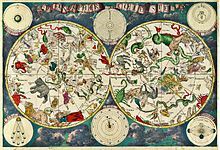 The Cambridge Concise History of Astronomy. Cambridge University Press. ISBN 0-521-57600-8. ^ McKissack, Pat; McKissack, Frederick (1995). The royal kingdoms of Ghana, Mali, and Songhay: life in medieval Africa. H. Holt. ISBN 978-0-8050-4259-7. http://books.google.com/?id=Pk-bZMS_KdUC&pg=PA103&lpg=PA103. ^ Clark, Stuart; Carrington, Damian (2002). “Eclipse brings claim of medieval African observatory”. New Scientist. オリジナルの2012年9月11日時点によるアーカイブ。. 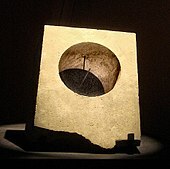 http://www.newscientist.com/article/dn3137-eclipse-brings-claim-of-medieval-african-observatory.html 2010年2月3日閲覧。. ^ Holbrook, Jarita C.; Medupe, R. Thebe; Urama, Johnson O. (2008). African Cultural Astronomy. Springer. ISBN 978-1-4020-6638-2. http://books.google.com/?id=4DJpDW6IAukC&pg=PA180&lpg=PA180. ^ Belkora, Leila (2003). Minding the heavens: the story of our discovery of the Milky Way. CRC Press. pp. 1–14. ISBN 978-0-7503-0730-7. http://books.google.com/?id=qBM-wez94WwC&printsec=frontcover. Forbes, George (1909). History of Astronomy. London: Plain Label Books. ISBN 1-60303-159-6. http://books.google.com/books?id=hcLXcpUDqPgC&printsec=frontcover.